To understand why he took this unusual step, you must first understand #IDARB’s development history, its crowdsourced gameplay ideas and the promises Other Ocean made to the crowd that had those ideas. Development famously started in January of 2014. It was then that Mika tweeted a picture of the eponymous red box and wrote “Where to go with this? I’ve started a new project, it draws a red box. Thinking platformer. #helpmedev.” Legendary game developer Tim Schafer of Double Fine fame responded by saying that the box should be forced to make a critical choice from which a narrative would branch out. The narrative may not have branched out, but the game’s development certainly did. Ideas began flooding in — some sublimely ridiculous, others just ridiculous. Mika heard every idea from “hacking” different colored boxes into the game to playable breakfast foods, from Twitter commands known as “hashbombs” that change the rules mid-match to turning #IDARB into a tank combat game. Astoundingly, all of those concepts made their way into the final design. “You know what, I had no idea what I was going to do with this game, actually, most of the time,” says a laughing, earnest Mika. “Because it’s something I felt was very community-driven. All my friends on Twitter and everything like that were contributing so much to it in a way that was shaping what it was. And working with Microsoft has been pretty amazing, because they understood it probably better than I did pretty early. 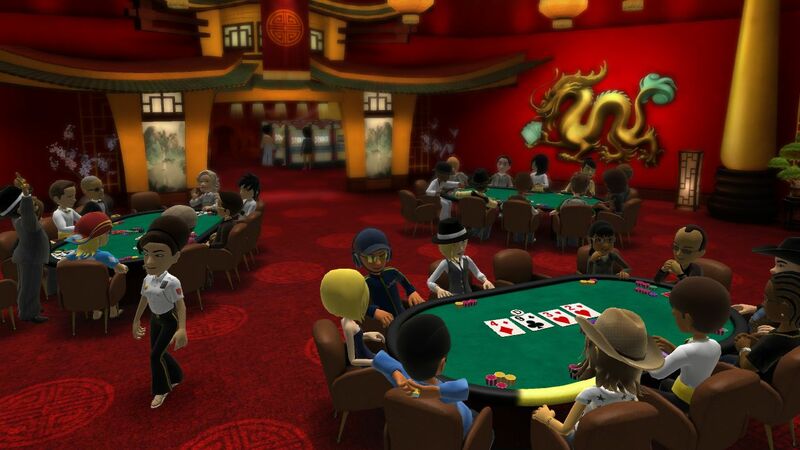 Other Ocean has historically been known for porting other studios’ works over to different consoles. Mika wanted a break from working on others’ ideas. In January, he told Retro Magazine that he wanted to regain creative control over something, and that he wanted to start coding again. He accomplished the last part in short order, coding his red box. At which point he proceeded to do a complete 180 on the creative front; he asked those whom the game’s credits lovingly refer to as “The People of the Internet” to take the reins. Actually, it wasn’t a succulent entree that Mika thought he and the aforementioned people were making. It was what comes after you’ve eaten the entree — “a steaming pile of ****.” Nearly a year ago, that’s what Mika told Gamasutra he initially thought his game would turn out to be. It didn’t, though. 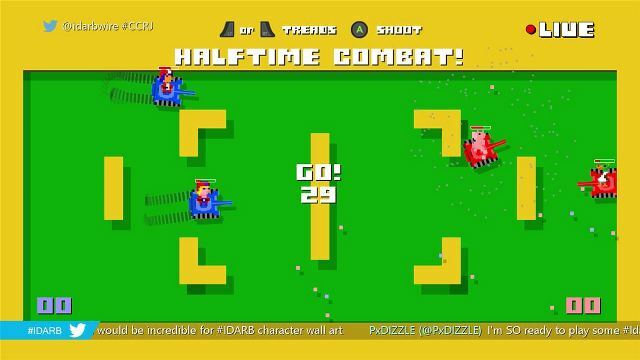 To the surprise of even Mika himself, making a collective of Twitter users #IDARB’s creative directors has resulted in a surprisingly clever and addicting multiplayer game. There was at least one man who never doubted that would happen. He wasn’t. Mika attributes the hashtag to another Twitter contributor. However, it’s clear that Charla was on board with the game from the outset. 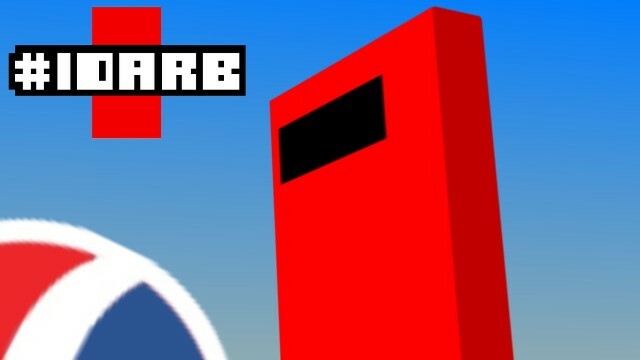 In fact, it was Charla who named the game It Draws a Red Box and nicknamed it IDARB. As you might expect, however, Charla’s double jump wasn’t the only “crazy” idea Mika wasn’t totally smitten with. By June of 2014 he realized it was time to hone in on what #IDARB actually was. It was a multiplayer platformer in which players tried to score points with a ball. If ideas were bad or if they didn’t jive with the core concept, they had to either be abandoned or tweaked until they fit. Some gamers suggested hashbombs that gave one team unfair advantages over the other, such as shrinking the size of their opponents’ goal. Other Ocean adjusted that particular idea to shrink the size of both teams’ goals. Mika states that he’s received a multitude of other hashbomb proposals that would have compromised the integrity of the game’s competition, and he hopes he’ll eventually find the time to circle back to and re-balance them. Other Ocean had been juggling a plethora of seemingly incongruous items from the start. And every time Mika thought he had a good handle on them, someone would slip a lit torch into the mix. Still, the plan called for a release in September. And then in October. And then in December. The Studio couldn’t meet any of those goals, but what it did do was pull off a sort of soft launch over the holidays. Mika had promised the People of the Internet a 2014 release, and failing to deliver it was not an option to him. Microsoft offered the solution he needed. Though Mika found it difficult to keep track of everyone who had contributed ideas to his game, he did his best to distribute #IDARB codes to the contributors first. That’s when the streaming began. As gamers watched an increasing number of individuals streaming this fun, new indie game, they wondered how they too could play it. The game’s launch was still over a month away, but Microsoft had passed along an abundance of free copies for Other Ocean to give out. The requests came in, and the codes went out. Mika recalls it feeling like an avalanche had hit. “We couldn’t keep up!” he exclaims, laughing. “Random gamers got copies. Reviewers like XBLA Fans got copies and, without an embargo to stop them, published early January reviews for a February release. 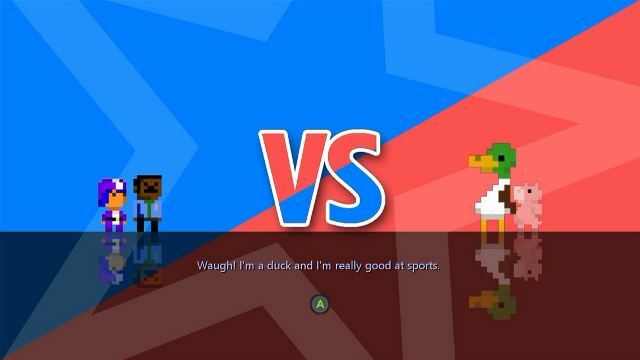 The verdict was in: the only thing #IDARB was a steaming pile of, was awesome. The party didn’t end when Other Ocean ran out of codes, either; Microsoft simply gave it more. To outsiders it looked a bit odd that the console holder was helping Other Ocean scoop its own Games With Gold promotion. But Charla doesn’t see it that way. Charla concedes that the unusual move was “a little bit of an experiment, for sure.” He adds that Microsoft is open to exploring unconventional ideas with indie developers. 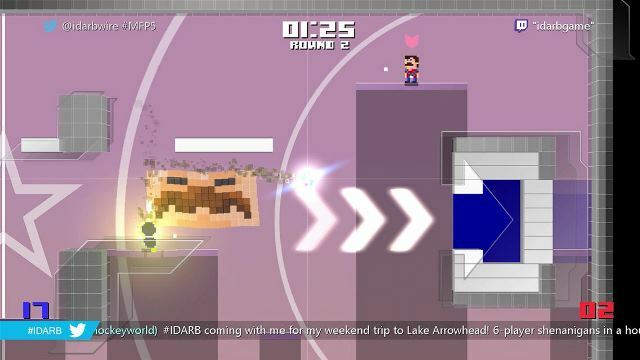 The hope with #IDARB’s release strategy was that it would build advance hype. But now that the early giveaways and the launch giveaways are over with, how is Other Ocean going to make money off the game? Mika’s still not entirely sure, but he knows he can’t keep giving everything away for free forever. In 2015, gamers are used to the idea of getting high-quality games for free and then being asked to support them through microtransactions and/or DLC. It’s a bit of a contentious pricing strategy, but it appears to be one that’s here to stay. For his part, Mika doesn’t seem the type to push the kinds of predatory microtransactions that have ruffled gamers’ feathers in recent years. 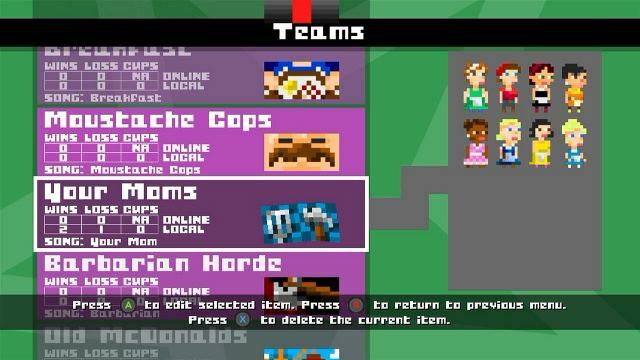 Yes, there will be more hashbombs, skins, abilities, tool sets for customizing arenas and other content added to #IDARB, but much of it will remain free. Other Ocean is still asking internal questions about what justifies a paid DLC pack and what should just be given away. It’s important to Mika that gamers know that content is coming in one form or another, though. 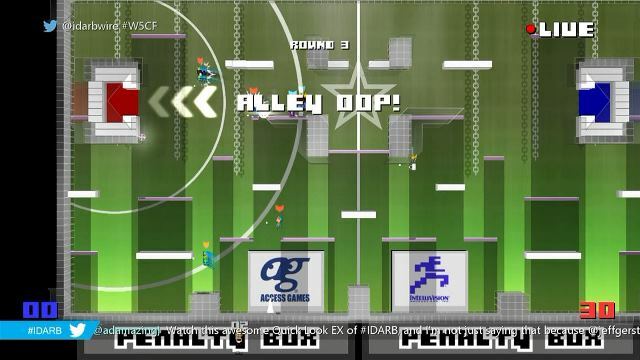 Last month’s #IDARB release was only the first version of the game. Mika thinks gamers will appreciate the additional content to come, even if they have to pay “like a few cents or something” to get it. Of course, there will be the promised free content to entice gamers to purchase the premium stuff. After all, Mika can’t help but give stuff away.